"One thing to take with to a deserted island?" - I think this is a pretty good idea. wooser is finally expanding into the food market! 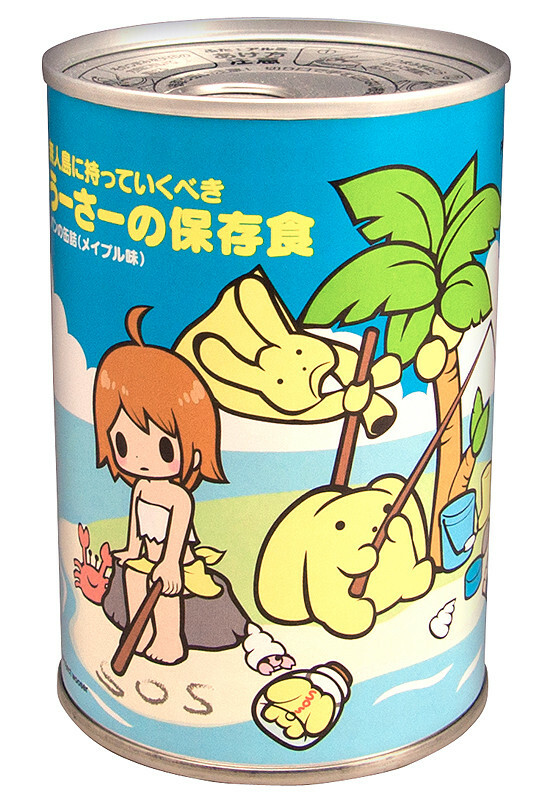 From the surreal anime 'wooser's hand-to-mouth life' comes some canned bread for all your emergency needs! The bread is lovely and airy with a sweet maple syrup taste. Be sure to grab some before heading to any deserted islands, or before shutting yourself away from the rest of the world! This product will be on sale at the NicoNico Super Kaigi from the 27th April 2013 (Sat) - 28th April (Sun) and at Machi Asobi from the 2nd May (Fri) - 5th May (Sun).